Protein is essential during pregnancy to support the development of fetal cell growth, brain development and blood production. While protein is important for all pregnant women, vegetarians and women who consume little meat should pay careful attention to protein consumption in order to supplement protein otherwise derived from animal sources. The American Pregnancy Association recommends two or more protein servings per day, combining to a total of 75 to 100 grams during pregnancy, which can be supplied from a variety of foods. Red meat and poultry are protein sources that offer variety to a healthy pregnancy diet. Fully cooked lean red meats, such as steak and ground burger are low in fat while chicken, turkey, pork and lamb offer ample protein as well. 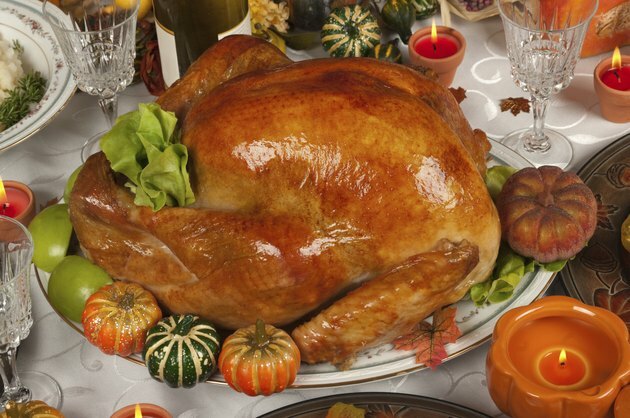 Two to three ounces of cooked red meat or poultry comprises one serving of protein. Beans are rich in the amino acids and protein needed for fetal cell production and can be combined with other protein-rich foods to add nutritional variety. Half a cup of cooked kidney beans, navy beans, black beans, chick peas or other types of legumes provide one serving of beneficial protein. 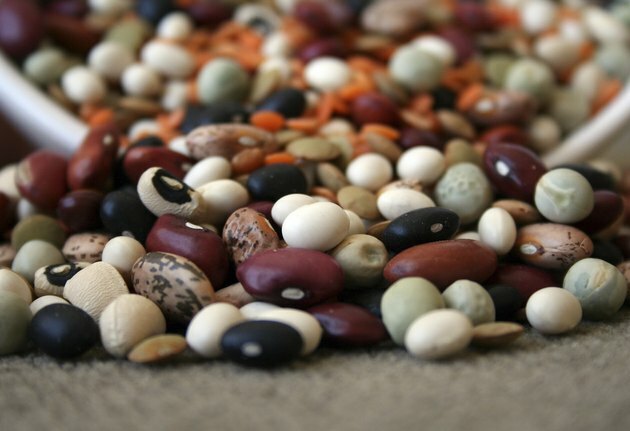 Mixed with salads, meats and in soups, legumes can be a protein staple and also to replace meat servings if desired. 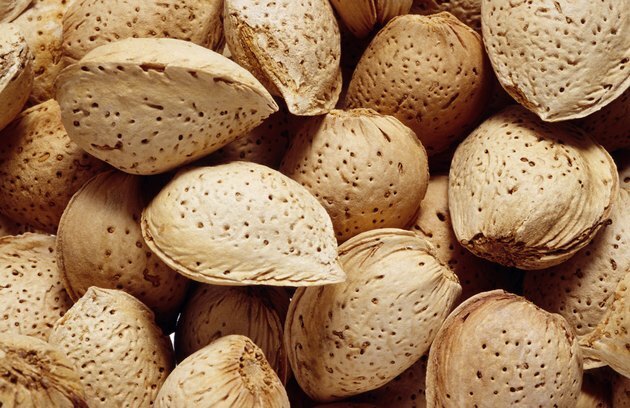 Nut meats are protein-rich and act as a quick snack, or can be combined with other foods to add a boost of protein. Almonds, walnuts and peanuts offer protein in a 1/3 cup serving, while 2 tablespoons of peanut butter equals one protein serving. Nuts can be added to salads, and peanut butter to whole grain bread for added nutrition and variety. Protein-rich dairy products come in a variety of forms such as milk, yogurt, cheese and eggs. Dairy products which have been fortified with omega-3 fatty acids are also available, which offer added nutrition for fetal growth and development, as well as protein. 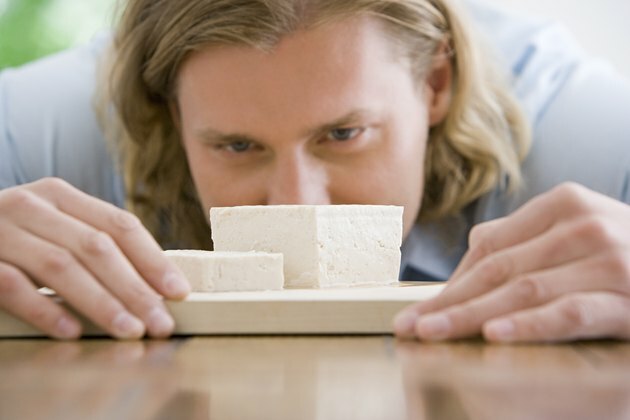 Tofu and other soy-based products are good sources of protein, as well. Tofu is versatile and can be used in a variety of ways to add protein to a pregnancy diet, such as in salads, soups and as an entrée. One-half cup Tofu equals one serving. Additionally, soy-based products like soy noodles and edamame are sound choices. Protein supplements are available in liquid form, such as over-the-counter brand Ensure, which can help boost protein nutrition when needed during pregnancy. Women who experience morning sickness or other digestive conditions that deter normal eating habits may consider using nutritional supplements. However, supplements are best used under the advisement of a physician to ensure the correct supplement, with an appropriate amount of protein, is used.